I was driving in the rush hour traffic last night and had to listen to the TV and radio broadcast of the 2 biggest networks and found that they were clucking away like head chopped chickens going on and on about dengue fever mania… especially in Quezon City… where a couple of children had already died… including those in the hospitals. The TV and radio hysteria was that they went on and on with how to eliminate mosquitoes. Sure they now have a new invention with mosquito egg catchers with secret ingredients to kill mosquito eggs and larvae. Then they tell the already dengue sick to strive not to get bitten again because the mosquitoes that bite them will help spread the dengue fever germs. Duuhhh…. Then the TV and radio hysteria go on and on about when you get dengue fever symptoms you go to the hospital and the hospital does their “standard” care that does not really help. And then they go on and on with blood donations drive… as if all this really matters with dengue fever treatment and cure. Clue less. These people are clue less. From us people who know how to cure dengue fever, this is all frustratingly funny and ridiculous at the same time with so much people in FEAR and doing absolutely nothing that really matters much. – Do not take any pharmaceutical drugs. No fever drugs, no pain relievers, no cold relief, no nothing of any sort of drug. 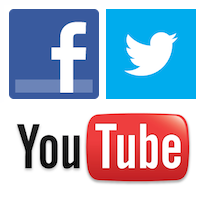 You know, stuff they advertise on TV and Radio so these mass media outlets can never ever mention these items because these are SPONSORS. – Do not put any chemicals on your food. None of those flavor saches. None of those instant flavor mixes. None of those flavor enhancers. None of those artificial sweeteners. – Do not put any chemicals on your skin, on your hair, on your teeth, in your under arms. You know what I’m talking about: shampoo, make ups, alcohol, facial cleansers, peeling chemicals, fluoride tooth paste, deodorants, etc. – Do not take any artificial or isolated supplements that will only cause umpteen imbalances in your body as isolated vitamins or isolated minerals are absolutely UN-natural and will cause imbalances. So taking iron supplements – multi-vitamins – ascorbic acid – and other blah, is all imbalance causing. – Do not drink any flavored drinks or alcoholic and non-alcoholic manufactured drinks. The word is no to MANUFACTURED drinks. The ones in bottles, the ones in sachets, the ones you mix… read the labels how many food colorings and chemicals are in it. It should scare you. – Do not eat any manufactured food. None of those breads, biscuits, crackers, chips, all those idiotic things in colorful wrappers… with listings of different ingredients and with “nutritional facts”… make all your food from scratch, visit your local wet market. In a nut shell, if you are looking for dengue fever prevention and cure, it will never ever come from TV and Radio because there are things they cannot say and report because some of the root causes of un-health comes from the very products that are advertised in TV and radio every single day. Dengue fever is a weak “disease” allegedly coming from mosquitoes… if at all. It lies more in the drugging, chemical poisoning and the malnutrition of the general public such that any pin prick can make them sick combined with dismal and clue less medical profession. The prevention of dengue fever lies in knowing how to CURE dengue fever. 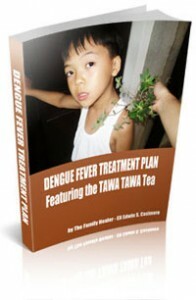 As already described in this website and written exactly step by step in the Dengue Fever Cure book. Buy the Dengue Fever Cure Book by clicking here.